A 1-hour certification course taught by Matt Miller. Unit 1: The Basics. 7 videos, 20 minutes. Get familiar with Screencastify's main features - recording, editing and sharing videos. Unit 2: Tips and Tricks. 5 videos, 9 minutes. We'll highlight some lesser known features and teach you how to create great screencasts right from the get-go. Unit 3: Flip Your Classroom. 4 videos, 8 minutes. An overview of the most common ways teachers use Screencastify in their flipped and blended classrooms. Unit 4: Student Assessments. 5 videos, 10 minutes. Learn how students can use Screencastify to make their thinking visible and demonstrate learning. Unit 5: App Smashing! 4 videos, 8 minutes. A few examples of how to use Screencastify to enhance some of our other favorite classroom tools. Earn a PDF certificate that we'll send to both you and your administrator. Perpetual access to course videos. Even after you finish the course, its videos and resources will remain available to you. Display it on your social media profiles, blog, and email signature! 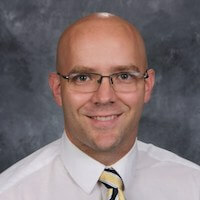 Matt Miller is a teacher, blogger and presenter from West Central Indiana. He has infused technology and innovative teaching methods in his classes for more than 10 years. He is the author of the book Ditch That Textbook: Free Your Teaching and Revolutionize Your Classroom and writes at the Ditch That Textbook blog about using technology and creative ideas in teaching. He is a Google Certified Innovator, Bammy! Top to Watch in 2016, and winner of the WTHI-TV Golden Apple Award. Onalytica named him one of the top 10 influencers in educational technology and e-learning worldwide.